It's amazing to think that I read this book in graduate school in the '80's and that it's still appropriate today. "...when a child learns to program to process of learning is transformed. It becomes more active and self-directed. In particular, the knowledge is acquired for a recognizable personal process. The child does something with it. The new knowledge is a source of power and is experienced as such from the moment it begins to form in the child's mind." "I believe that [the computer] can shift the boundary separating concrete and formal "[thinking]. ... "our culture is relatively poor in models of systematic procedures." "Without the incentive or materials to build powerful, concrete ways to think about problems involving systematicity, children are forced to approach such problems in a groping, abstract fashion. " Many children are held back in their learning because they have a model of learning in which you have either "got it" or "got it wrong"." "when you learn to program a computer, you almost never get it right the first time." "The question to ask about the program is not whether it is right or wrong, but if it is fixable.". If this way of looking at intellectual products were generalized to how the larger culture thinks about knowledge and its acquisition, we all might be less intimidated by our fears of "being wrong". " ..."teaching the Turtle to act or "think" can lead one to reflect on one's own actions and thinking." ..."the computer as a writing instrument offers children an opportunity to become more like adults, indeed like advanced professionals in their relationship to their intellectual products and to themselves. In doing so, it comes into head-on collision with the many aspects of school whose effect, if not intention, is to "infantilize" the child." ..."if adults surrounding that child fail to appreciate what it is like to be a writer." ..." "teaching without curriculum" does not mean spontaneous, free form classrooms or simply "leaving the child alone". It means supporting children as they build their own intellectual structures with materials drawn from their surrounding culture. In this model, educational intervention means changing the culture, planting new constructive elements in it, and eliminating noxious ones." "The educator must be an anthropologist." "The educator as anthropologist must work to understand which cultural materials are relevant to intellectual development. Then he or she needs to understand which trends are taking place in the culture." ..."choices made by educators, foundations, governments, and private individuals can affect the potentially revolutionary changes in how children learn. But making good choices is not always easy, in part because past choices can haunt us." QWERTY..."symbolizes the way in which technology can all too often serve not as a force for progress but for keeping things stuck. ... a social process of myth construction that allows us to build justification for primitivity into any system. ...we are in the process of digging ourselves in to anachronism by preserving practices that have no rational basis beyond their historical roots in an earlier period..."
Most teachers do not expect high performance from most students, especially in a domain of work that appears to be as "mathematical" and "formal" as programming." "the idea of the computer as an instrument for drill and practice that appeals to teachers because it resembles traditional teaching methods.... Drill and practice are predictable, simple to describe, and efficient in use of the machine's resources. so, the best engineering talent goes in to the development of computer systems that are biased to favor this kind of application." "We are at the point in the history of education when radical change is possible, and the possibility for that change is directly tied to the impact of the computer." "Conservatism in the world of education has become a self-perpetuating social phenomenon." What ideas in the readings interested or resonated with you? The process of writing and editing (30-31) and how schools view it. I often read how blogging makes your writing improve, so why aren't more adults doing it? Could it be the fear of putting your work out there? And when did that happen in the process of education? The section on p.33 really stuck with me. How is it that we are still working with teachers on using the computer and the internet. We should be way beyond teaching those skills, and yet I often have to show people how to use multiple tabs in a browser. It's hard to believe that this article was written over 40 years ago! How did using computers in schools NOT become a part of our educational culture? On p.35 Papert says "Most teachers do not expect high performance from most students, especially in a domain of work that appears to be as "mathematical" and "formal" as programming." Later he says "the idea of the computer as an instrument for drill and practice that appeals to teachers because it resembles traditional teaching methods.... Drill and practice are predictable, simple to describe, and efficient in use of the machine's resources. so, the best engineering talent goes in to the development of computer systems that are biased to favor this kind of application." In 1980, Papert is saying that "We are at the point in the history of education when radical change is possible, and the possibility for that change is directly tied to the impact of the computer." All I can say is unbelievable! One thing I have encountered is that when we offer open ended opportunities to students, they often don't know how to approach the problem because they are so used to being told what to do. How could you apply these ideas to help others learn in your own work, family, or community? Luckily, I worked in kindergarten where LOGO was part of our program and accepted as a learning tool. It is why I pursued my Master's degree. And I guess I have been preaching the value of self directed learning ever since. I know how tools like LOGO, can impact learning. I see the value in learning from trial and error and making mistakes. It is much easier and less messy when students are all doing the same activity. As we begin work on the Common Core, I wonder how I can fit these ideas into our practice. We use the phrase "tight, loose" at our school. I think we need the tight framework, but looseness of choice when it comes to how to learn. We need to provide as many opportunities as possible for students to learn by making. I am currently working with a student doing an independent study to set up a MineCraft server and teach me how to administer it, so we can offer students time after school. The elementary Tech Integrator offers a wonderful after school program for younger students on creative learning. We also run the Google Ninjas program. We have talked about offering more opportunities to students, based around the idea of making things, we just need to figure out logistics. Schools have always been charged with the task of producing good citizens. But how has our definition of a "good citizen" changed over the ages? "Using Google Hangouts for Teacher Development"
"Anything is easy if you can assimilate it to your collection of models. If you can’t, anything can be painfully difficult. Here too I was developing a way of thinking that would be resonant with Piaget’s. The understanding of learning must be genetic. It must refer to the genesis of knowledge. What an individual can learn, and how he learns it, depends on what models he has available. This raises, recursively, the question of how he learned these models. " "Thus the “laws of learning” must be about how intellectual structures grow out of one another and about how, in the process, they acquire both logical and emotional form." "I wonder how many people have personalities or interests that aren't really that suited for formal education, at least in its current form." Is there a way to support and acknowledge the importance of informal learning and allow those of us who work better in interest and self-motivated learning to do so without the social stigma and lack of support that is currently associated with dropping out of formal education? "Although reading the dictionary and the encyclopedia from cover to cover may seem a bit extreme, it often feels like that's what we're asking kids to do who go through formal education." "I wonder whether we should be structuring the future of learning as online universities where you are asked to do the equivalent of reading the encyclopedia from cover to cover online. Shouldn't we be looking at the Internet as an amazing network enabling "The Power of Pull" and be empowering kids to learn through building things together rather than assessing their ability to complete courses and produce the right "answers"?
" "Education" and at the notion that we actually understand the world causes us to be unprepared for the unpredictable." "All of our theories are very incomplete models of the real world and the only way to really get close to understanding the real world requires a kind of "unlearning" and a connection with the real world at an intuitive and an "uneducated" level." "Immersion and mindfulness are really important ways to see things that you normally don't see." - Joi Ito (2012). Keynote to Open Educational Resources meeting (video), Hewlett Foundation. "if it weren't for the internet, I would be a completely unlearned, uneducated person who probably wouldn't have the opportunities that I did." "The internet is changing everything for everyone"
"You've created this environment that's massively reduced the cost of innovation." "pushes the center of innovation from the big centers to the edges." "the cost of failure is also zero." "the internet is all about open access, freedom to innovate, and freedom to connect." "most pieces of the internet are small and take care of themselves"
The Power of Pull, John Seely Brown, pull the resources as you need them. Pull from the edges. Don't stock information." The spirit of the internet; you work together, you share, and you build the most impressive team you can imagine." "learn stuff by messing around." "Anti-disciplinary, for the misfits that couldn't do anything anywhere else. Question Authority, Think for yourself. "This is a hard thing to teach. How do you assess this?" "How do you empower everyone to be a teacher?" "Create local role models and local ways of thinking. Look for small deviant behaviors in society and amplify those"
"Replace the mentality of teacher with being a coach. Listen instead of preach"
"For K-12, have a lab that's multi generational, that's a chunk of the day. Build stuff and tie the learning to it." - Mimi Ito et al. (2009): Learning and Living with New Media. MacArthur Foundation. Robust participation in networked publics requires a social, cultural, and technical ecology grounded in social and recreational practices. Networked publics provide a context for youth to develop social norms in the context of public participation. Youth are developing new forms of media literacy that are keyed to new media and youth-centered social and cultural worlds. Peer-based learning has unique properties that drive engagement in ways that differ fundamentally from formal instruction. Our values and norms surrounding education, literacy, and public participation are being challenged by a shifting landscape of media and communications where youth are central actors. What did you find most surprising in the readings? That I agreed with almost everything that the writers had to say, especially in the Open Educational Session. I was struck by how much Seymour Papert has influenced my own work. I first saw him speak at lamplighter School in Dallas, Texas in the early 1980s. His work just made so much sense to me and I think I have carried his ideas with me for a long time In some sense, it's all coming full circle with this class. I would like to see more information (and this will likely be addresses in future classes) in how to set up an environment, and more importantly, how do we know when we have learned what we need to know? Write about an object from your childhood that interested and influenced you. I thought long and hard about what influenced me. I don't remember any one special toy, and that may because I have 4 younger brothers and had to share so many things. But then I remembered my sailboat! We grew up in the summer around the ocean. A big right of passage was turning 13 when you didn't have to wear your life jacket on the dock when going boating. At some point in my childhood, my Dad bought a sailboat from a local boat builder. Called a Chickadee, it was named after Booth Chick who was a legendary builder of wooden boats. At just 13 feet long and with a single sail, it was the perfect vessel for learning how to sail. I had a few lessons, but not being one to really internalize boatloads (pun intended!) of information, I found that I could figure out how to make it work by experimenting with the wind and the sails and the currents. It was one of the things I could do all by myself, and I learned to be pretty good at it. I spent a great deal of time seeing how fast I could go, and many experiments were done seeing how far I could heel until I almost flipped the boat. I would try "coming about" (turning with the wind) as opposed to jibing (turning across or against the wind). I would pull up the centerboard to see if that helped. And every once in awhile I would get out in the ocean, have a great day, only to get stuck in the river when the wind died down to nothing. All of this took place long before cell phones, so it was up to me to figure out how to get back to the dock, usually on my own! Many years later, I was given a chance to join a sailing club off the waters of East Africa. Amazingly, it came right back to me, kind of like riding a bike. My sailboat is still in my parent's garage. I haven't used it in years, but I go look at it every summer and think about those wonderful days of freedom. In order to enjoy the distance conferencing experience rather than loathe it abide by some simple guidelines for etiquette. Stay safe and secure online Explore quick tips and how-to’s that explain what you can do to stay safe and secure on the web. When the opportunity came up to participate in a MOOC, I jumped at the chance to take part in Learning Creative Learning at MIT. Can you imagine learning with 24,000 other people?? We have been put into small groups in Google+ but it is still a little hard to comprehend how we will learn together. Today, I spent a fair amount of time reading and watching videos and I think I am getting caught up. I hope to use this space as my way to reflect. From the opening video, I am pretty excited by how what I learn, may impact my work at school. It's so interesting to me that my introduction to Seymour Papert way back in 1981 (when I was a kindergarten teacher) is still having an influence on my work. "If older students are going to learn through the kindergarten approach, they need different types of tools, media, and materials. This is where, in my opinion, digital technologies can play a transformational role in education." "Our goal is to provide tools that can be used in multiple ways, leaving more room for children’s imaginations." "The goal is not to nurture the next Mozart or Einstein, but to help everyone become more creative in the ways they deal with everyday problems. " 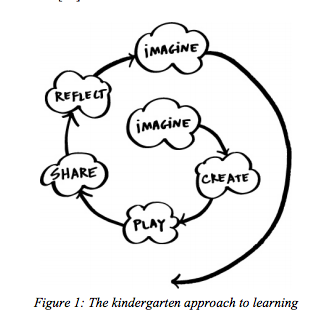 Imagine: "Our guiding principle is “many paths, many styles” – that is, to develop technologies that can be used along many different paths, by children with many different styles." Create: "is at the root of creative thinking. If we want children to develop as creative thinkers, we need to provide them with more opportunities to create." Play: "and learning can and should be intimately linked. Each, at its best, involves a process of experimentation, exploration, and testing the boundaries." Share: "children become more engaged in the construction process when they are able to share their constructions with others in a community, and children become more engaged with communities when they are able to share constructions (not just chat) with others within those communities. " Reflect: "Such reflection is a critical part of the creative process, but all too often overlooked in the classroom." Imagine: "The process of Imagine, Create, Play, Share, and Reflect inevitably leads to new ideas – leading back to Imagine and the beginning of a new cycle." "If children have enough time to go through the cycle only once, they’ll miss out on the most important part of the creative process." 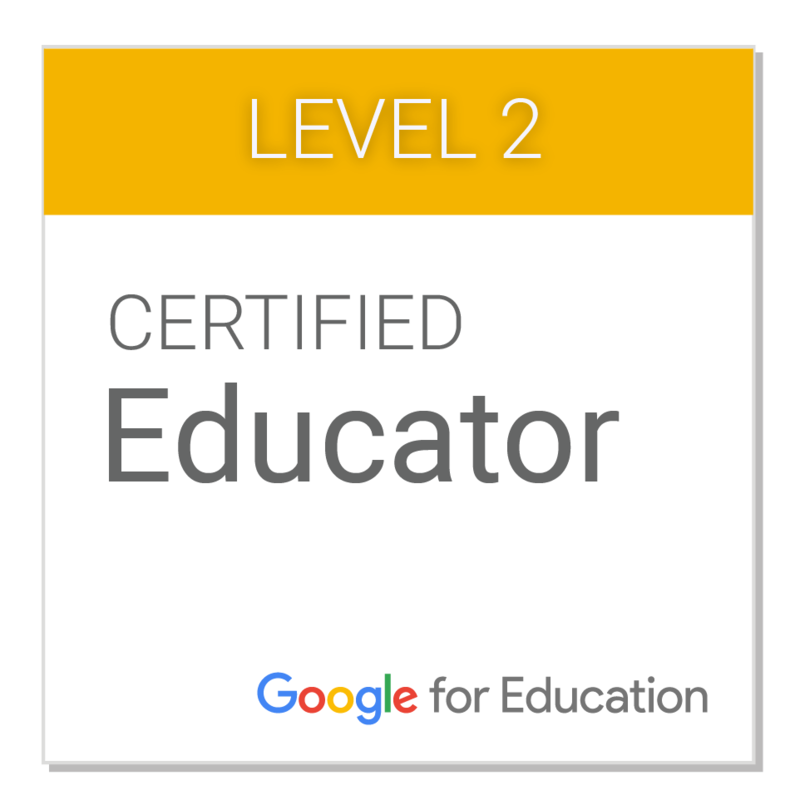 "The skills I have mentioned here are essential to every teacher ( and student ) using technology in class, at home , or for professional development purposes. 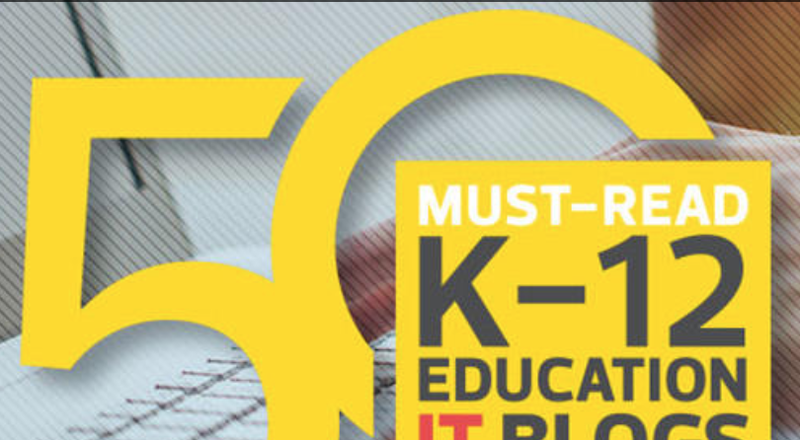 It also contains the best web tools that you can use to better hone in the targeted skill under which they are featured .These web tools can also empower you with the necessary know-how to effectively leverage the power of technology in education. Please this is a work I have spent a lot of time and efforts on and I am so glad to share it with you but I also deserve to have due credit whenever you use it somewhere else. Enjoy"
"Editor’s Note: It’s not an easy decision to bring Facebook into the classroom. Teachers must contend with all kinds of issues — including breaking the law. In this fraught world of social media privacy, the terrain is that much less clear, but for those who are willing to think about opening that door, here’s an article by Carol Brown of Online College." wireless display from the iPad (or an iPhone 4S or 5) to a projector. iPads as Part of a Universal Design for Learning Toolkit-Alex Dunn - Classroom 2.0 LIVE! "Using Infographics for Policy Deliberation on Afghanistan"
To get started, implement the gClass folders system for your classes. It is SUPER EASY to use. Just grab the gClass template, fill it out with your student list and it will create a 'class folder', a edit by all class folder, a view only class folder (for handouts, etc), and a 'dropbox' for each student. All shares/permission set up automatically with a script that runs behind the scenes. Go to the link above. It is a tell all. 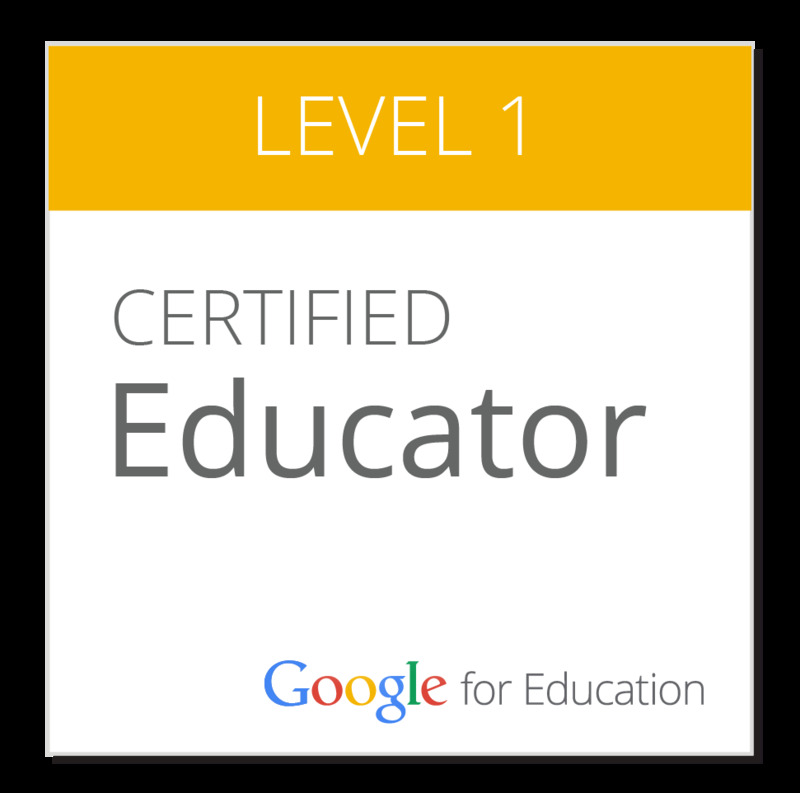 "This course is to prepare educators to use Google Apps for Education in their classroom with students. 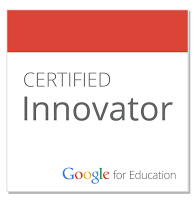 The course utilizes Google training materials and digital based learning theories to explore the power of the Google Apps suite of tools as well as cloud-based technologies in the K-12 settings. 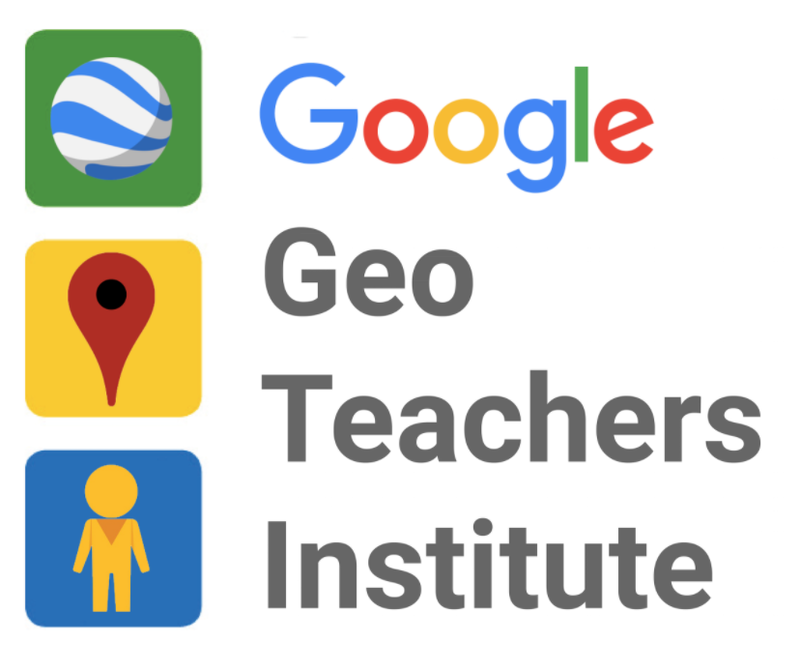 Educators will be exposed to all of the major Google Applications as well as create a final project and presentation on their implementation of the tools in the classroom setting."